In recent years, the obstacles that child marriage poses to development and to the achievement of the Millennium Development Goals have been widely recognized. Varied responses to the problem have been devised. The number of programs testing different approaches to ending child marriage has grown, and many have been evaluated. We are starting to get a sense of what works and the general areas in which investing in research could make a difference. The purpose of this paper is to identify gaps in the research on child marriage in which additional investment could catalyze change. Much remains to understand about child marriage and how to influence it. By mapping out current knowledge of child marriage and the programs designed to address it, and by highlighting questions to which we do not yet know the answers, the paper is intended to generate discussion in the field and clarify what we need to know to bring an end to this deeply harmful practice. The paper also moves us closer to the development of a shared theory of change for this field: given that many organizations are now working in this area, how can their programs and related research be understood -- aligned -- in such a way that their work feeds into a single theory of change? The research gaps on their own should not drive investments in child marriage. A worthy research mandate must also be driven by programmatic and advocacy needs. The recommended areas for research are not meant to provide a definitive menu, but rather to describe the general contours of what we know and what we need to understand better. Copyright 2014 Ford Foundation, GreeneWorks. 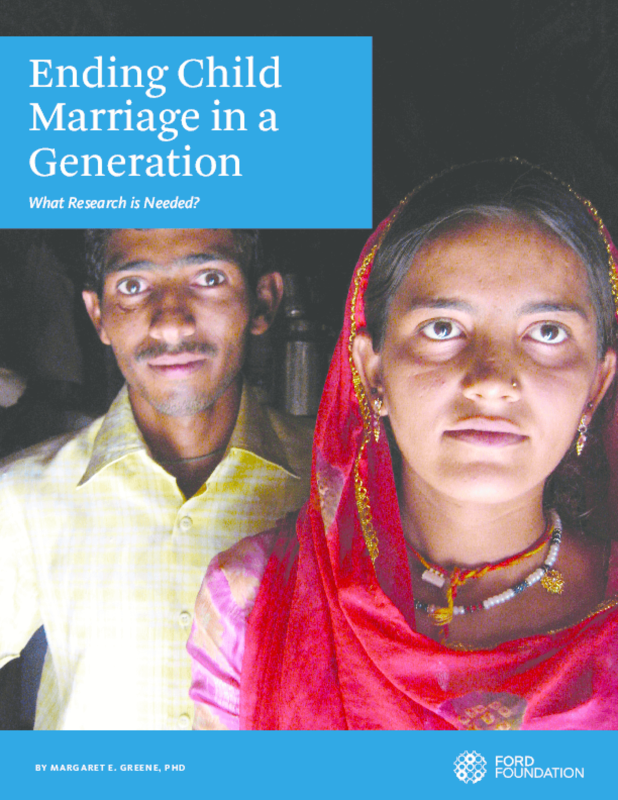 Title: Ending Child Marriage in a Generation: What Research is Needed?